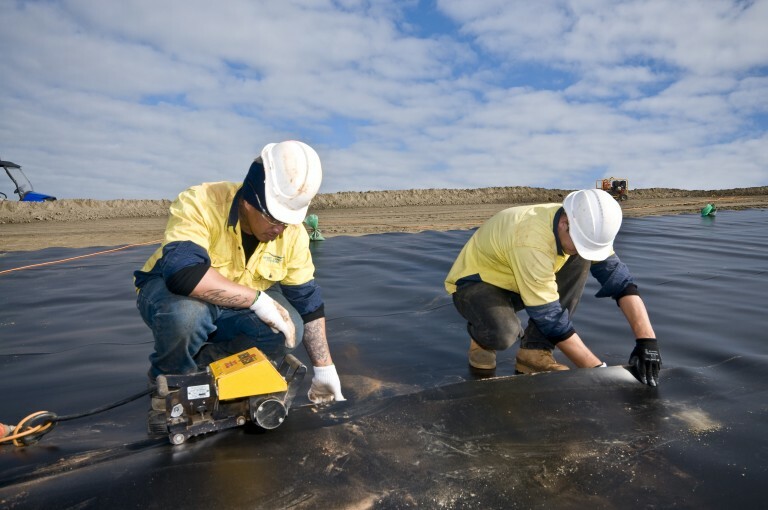 Merit Lining Systems are geomembrane lining system specialists who supply and install pond and dam liners, heap and dump leach pads, landfill liners, tank, reservoir and channel / canal liners, floating covers, secondary containment liners and barriers. 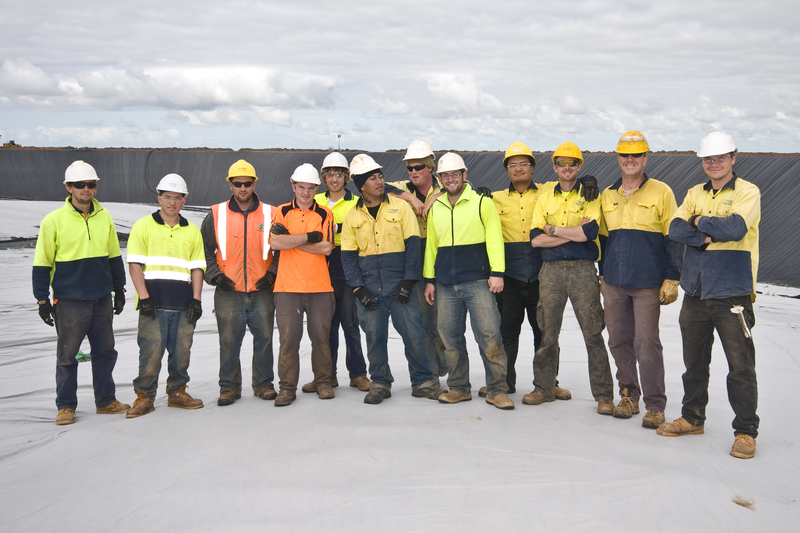 We also carry out specialist projects across Australia and South East Asia. 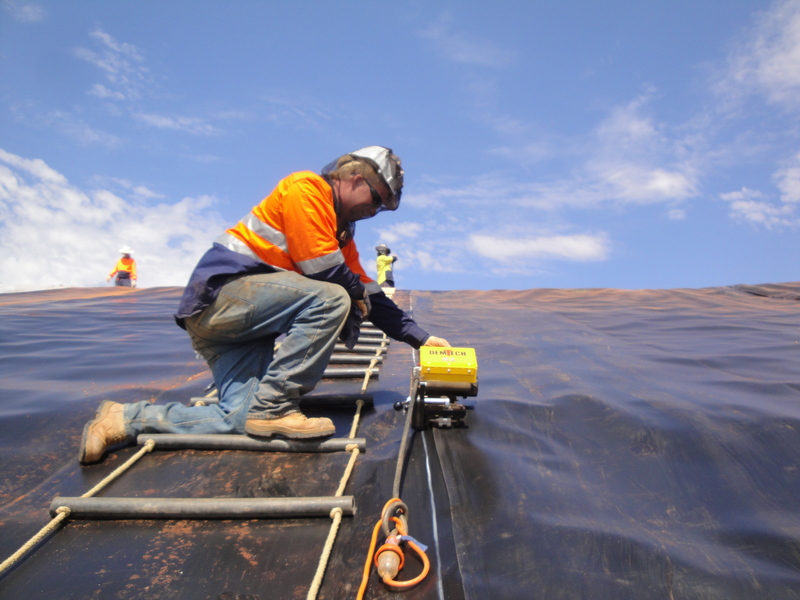 Merit Lining Systems had their beginnings in North Queensland in the early eighties and was the first Australian company to carry out major HDPE lining projects. Merit Lining Systems was formed in 1990 with Stephen Hollier and Peter Panek two professional Civil Engineers who were also the Principals of Merit Engineers, a well respected Project Management consultancy specializing in the mining industry. The new company combined practical liner experience with professional engineering skills and was very successful from the beginning. In 1997 Merit Lining Systems was ranked 6th in Australia in the BRW list of “Top 100 Fastest Growing Private Companies”. From two major offices in Perth and Brisbane Merit Lining Systems carries out projects throughout Australia and Asia and specializes in technical challenges. HDPE liner or geomembrane is the main product used in applications ranging from ponds to leach pads to landfills as well as many others. Early adoption of new technology has always been a hallmark and Merit Lining Systems was the first company in Australia to offer on site tensiometers, independent weld temperature monitoring, specialized large project deployment machines and electrical leak integrity surveys. 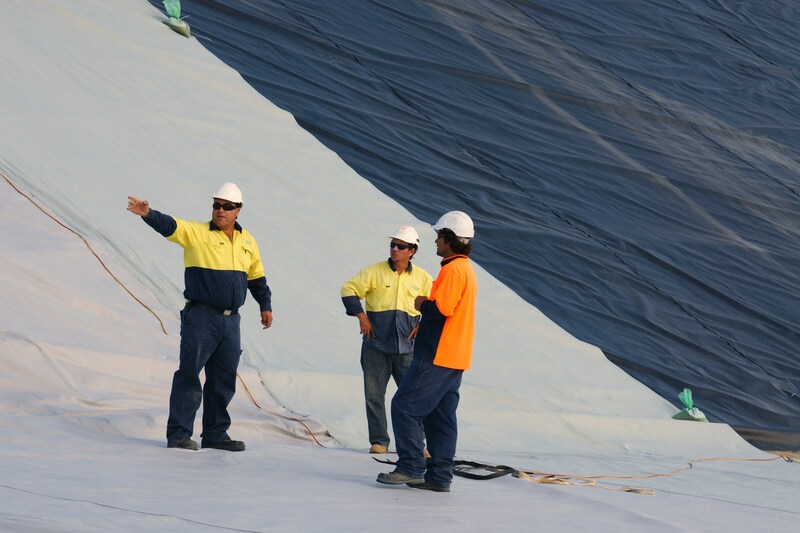 As water conservation concerns and environmental protection issues keep growing the need for well engineered geomembrane lining systems grows and Merit Lining Systems is at your disposal to assist and advise. We are a multicultural team of dedicated engineers, and we aim to provide the best services to our clients, with the goal to maximise our client’s satisfaction. This is achieved through the use of innovative new processes of installing and fabricating designs to suit our client’s needs in addition to our fast and reliable services. © Copyright 2018 by Merit Linings Systems. All Rights Reserved.